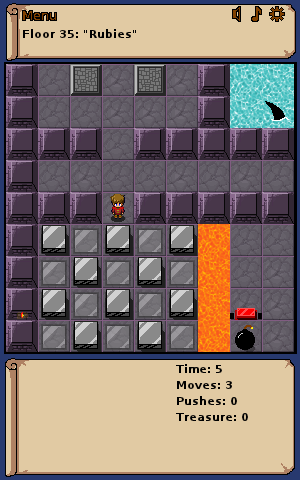 Wizard Tower is a Sokoban-like puzzle game in a medieval fantasy setting. 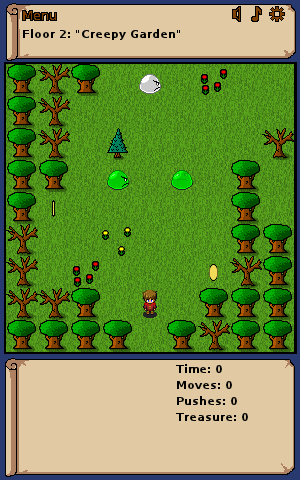 It is inspired by games like Chip's Challenge. The game runs in Flash, so it can be played easily without installing. Just click the link to play. 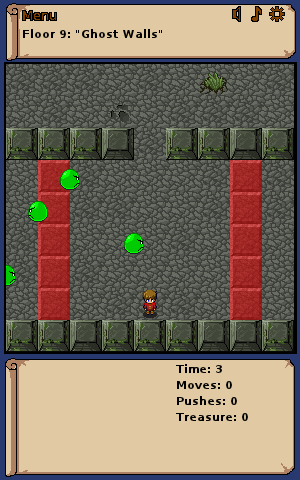 The help files on playing the game and editing levels are included in the game. The game is under heavy development. You can help too! All your feedback and comments are welcome. If you are serious about creating levels, good additions to the main levelset are also welcome! Levels for the first half of the game should be short but witty, levels for the second half slightly longer. 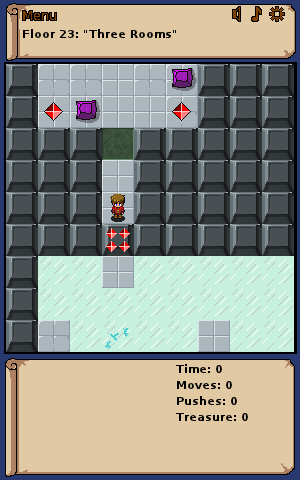 Here's an example of a custom level, which you can play using the Custom Level button, or edit in a text editor. The complete level source code in the scrolling box below is required. Copyright (c) 2011-2016 by Lode Vandevenne. All rights reserved.